Mexican President Enrique Peña Nieto has strongly denied his government spied on prominent journalists and activists by hacking their phones. He said there was "nothing more false" than to suggest his government was behind the installation of spyware. Several alleged victims have filed a criminal complaint following reports that the Israeli-made spyware had been found on their mobile phones. Mexican prosecutors have opened an investigation. A report in the New York Times said lawyers, journalists and activists investigating corruption and human rights abuses in Mexico were targeted with spyware that can infiltrate smartphones and monitor calls, texts and other communications. The software, known as Pegasus, was sold to Mexican federal agencies by Israeli company NSO Group on the condition that it only be used to investigate criminals and terrorists. An internet watchdog at the University of Toronto said it had found more than 76 fake messages sent to Mexican journalists and lawyers which contained links to the NSO Group's spyware. 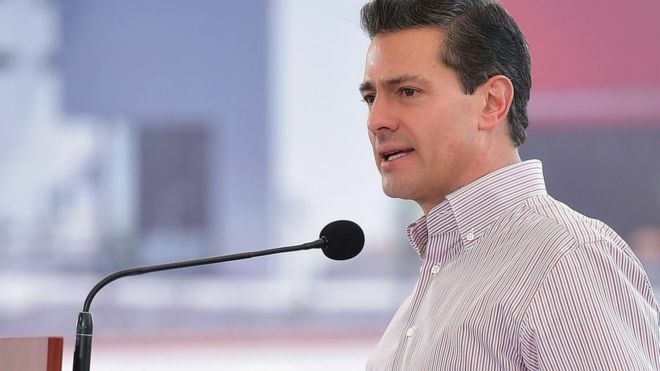 Speaking at an event in the state of Jalisco, Mr Peña Nieto said those accusing his administration had to produce more evidence. "This government categorically rejects any type of intervention in the private life of any citizen," he said. "None of the people who feel aggrieved can affirm, demonstrate or show evidence that their life has been affected by these supposed interventions and by this alleged espionage." 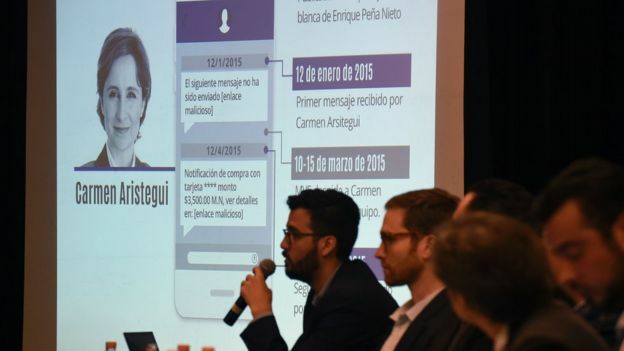 On Wednesday, the Mexican attorney general's office said prosecutors would investigate the origin of the fake messages as well as the supplier of the spyware.